Do you have any questions or comments? Let us know below! A new Hero has moved into EOS! 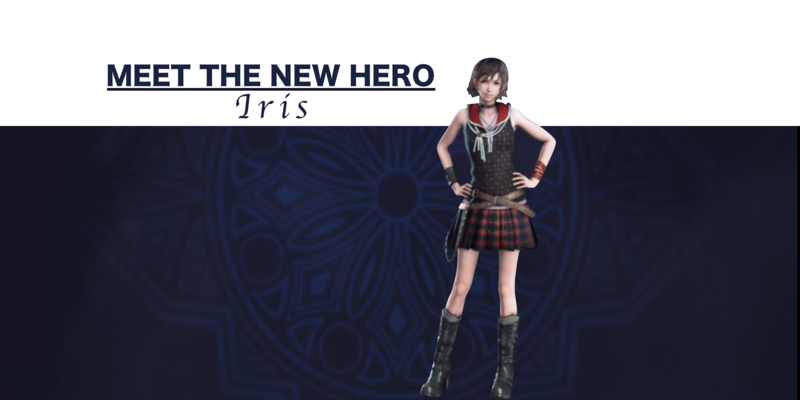 Iris is unlike any hero seen before, with her hero level starting at 200 and only mastery skills available. Let’s get to know her! Currently, Iris is available only in packs. As with all heroes, if you don’t see the unlock in your pack store go to Iris and poke her unlock and it should appear. Iris is unlike any previous hero since she starts as level 200. The only skills available for her are mastery skills. Iris requires Regal Iris Medals to unlock every two levels. Iris has some pretty impressive mastery skills. These skills are unique in that some you must have Iris active, some are passive, and some are passive but require that you use the Hero you have skilled her synergy for. 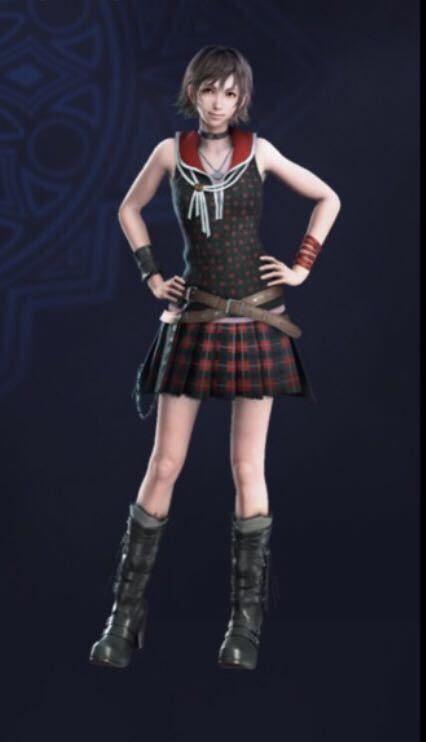 For example, to use Luna’s synergy skill, she must be active. Arguably Iris’ strongest skill is the Moogle Enchantment, especially if you are planning on using her to defend. Note that she does NOT have to be active to use this enchantment. The Moogle Enchantment is for accessories but only can be used one at a time. You cannot enchant multiple Moogles at once. Note that attackers can see when you are using this enchantment. It would behoove you to wait and pop it once an attack march is incoming, or you most likely will be avoided. 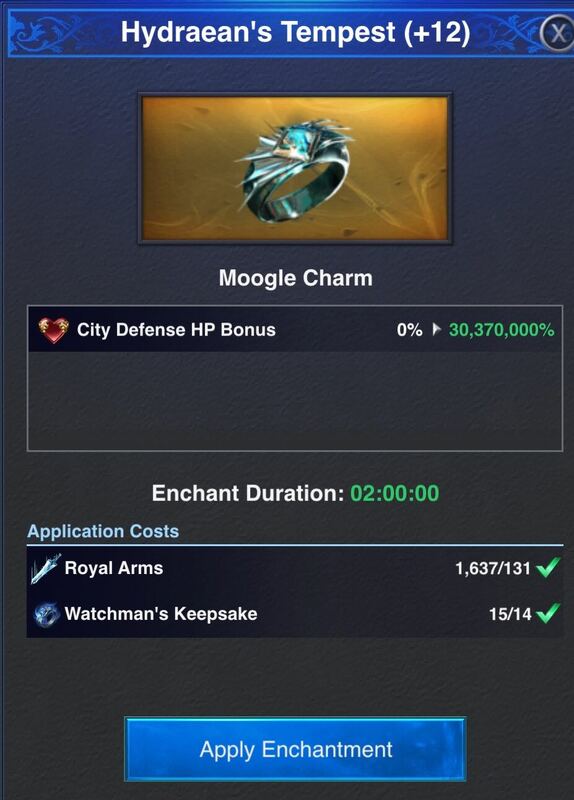 The Moogle Charm requires Royal Arms and Watchman’s Keepsake. These can be obtained by hitting monsters with Iris active and limit broke. Once activated, the enchantment lasts up to 24 hours, but this time will be lower when your Limit Break isn’t skilled to the maximum. For example, Limit Break skilled with 2 points gives a 2-hour enchantment timeline. There are several Mastery Skills that are useful with Iris for defense. However, you must keep several things in mind. The biggest of these is the Moogle Charm. It can be used while wearing ANY hero. Elemental Nullification and Embassy Attack and HP are nice, but require you to be using Iris at the time. The same goes for Luna, Noctis and Gladio. Iris is a strong addition to the EOS hero line-up. Her skills are unique and offer an opportunity for customization, depending on how you want to attack or defend.